Inline Tweet sharer is a plugin that allows you to share content like the New York Times . If you look at their website, they have links for memorable quotes that you can click on to share on twitter. Use this to help create intrigue with your writing and allow easily sharable facts on your WordPress website. As well as the quote, you can also add prefix and suffixes, as well as adding attribution to twitter users. 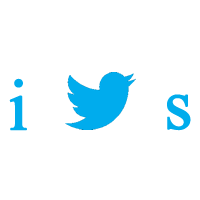 All tweets contain links back to the source, so you can help increase traffic to your site from social media. Straight out of the box, the links are styled as links on your site. However through one change, you can style the links so they stand out as tweetable quotes, with a default style. With a little bit of CSS know-how, you can style links however you wish. 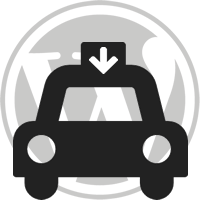 Download the plugin and unzip the plugin into it’s own folder in wp-content/plugins. Log into your site and go to Plugins > Installed, and activate “Inline Tweet Sharer”. Go to Settings > Inline Tweet Sharer and set up the plugin how you wish. For more information and further documentation please see the Inline Tweet Sharer Documentation page. You may also be interested in Inline Tweet Sharer Premium. This plugin introduces a bunch of new features to Inline Tweet Sharer, including Google Analytics integration, and the ability to include a follow back button. Check it out for just £25. To get updates on Inline Tweet Sharer as well as all our other plugins and sites, please subscribe to our mailing list below.